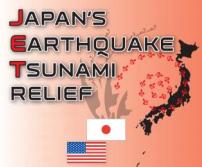 PACOIMA — A disaster relief fundraiser marking the fifth anniversary of the earthquake and tsunami that devastated northeastern Japan will be held on Saturday, Feb. 27, from 11:30 a.m. to 2:30 p.m. at the San Fernando Valley Japanese American Community Center, 12953 Branford St. in Pacoima. The program will include an interfaith memorial service from12 to 12:30 p.m., special guests from Japan, and entertainment. SFVJACC’s relief efforts focus on children who were orphaned by the disaster. One family, the Chibas, lost five members on March 11, 2011. A disaster preparedness fair, organized by the Southern California Preparedness Foundation (www.SoCalPrep.us), will be held in the gym. Fifteen community agencies will set up exhibits and give demonstrations. Those who cannot attend but would like to make a donation are asked to make checks payable to “J.E.T. Relief” and send them to SFVJACC, 12953 Branford St., Pacoima, CA 91331. For more information, call (818) 899-1989 or visit www.sfvjacc.com.